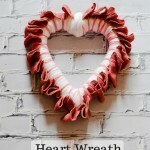 Making wreaths is one of my favorite ways to relax. 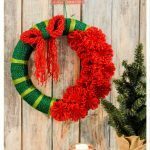 Wreaths are such a fun way to dress up any corner of your house–they’re not just for front doors! We’ve been solidly chugging along with updating our decor and making this house into a home we’re proud of. 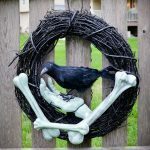 We had a corner of our entry that was screaming for a wreath. 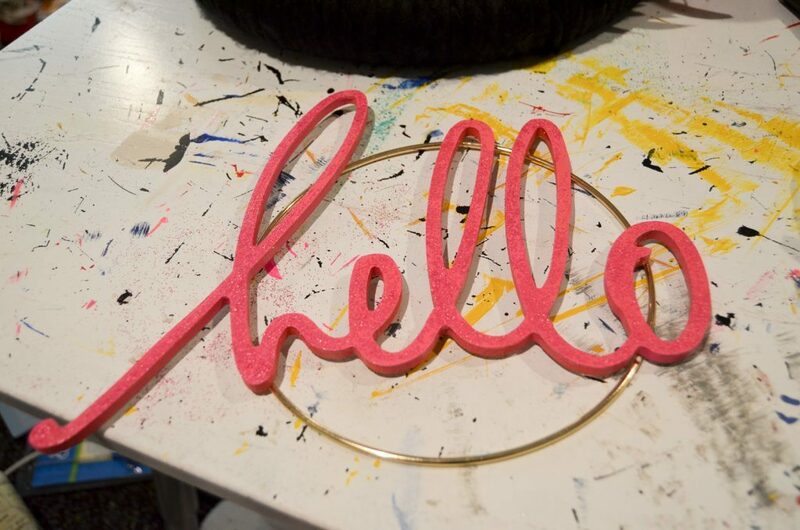 When I was cleaning up my craft room, I found the hello sign I got from Snap and my mind immediately went to incorporating it into a wreath. 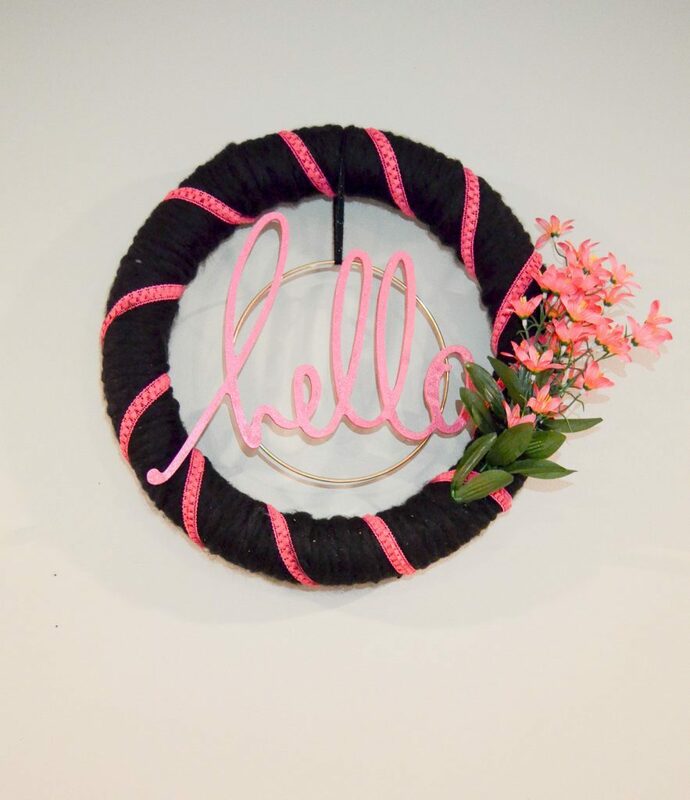 I decided to try out some different colors than I usually go for and my Pink and Black Hello Wreath was born. 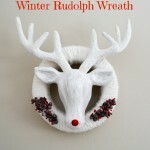 Begin by wrapping the wreath form in the chunky yarn. 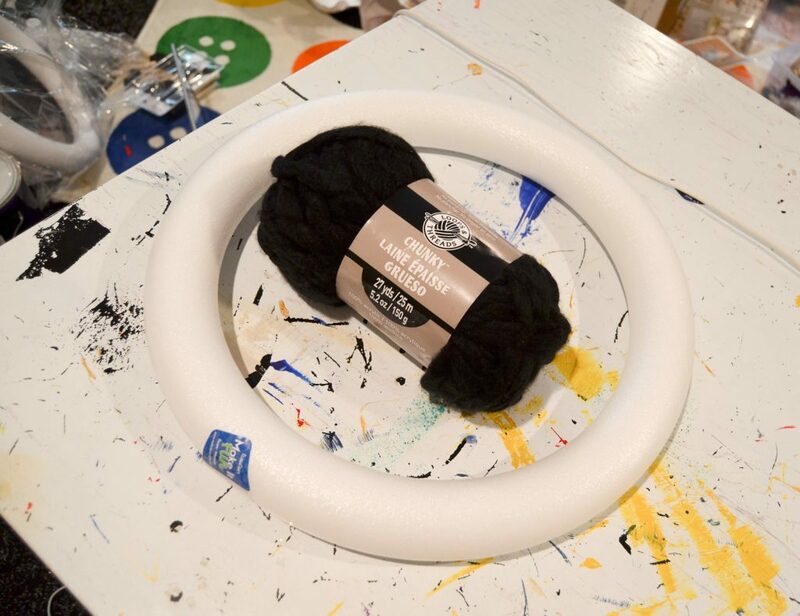 I love this yarn because it gives a lot of texture and makes quick work of it. 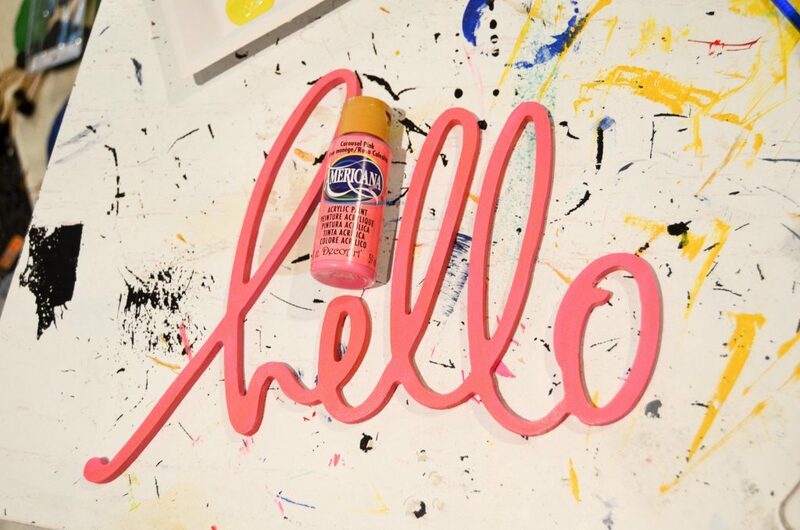 I painted the hello sign pink. 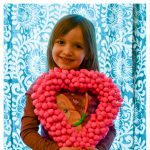 I can hardly do a craft without adding glitter! I used the glitter decoupage, sprinkled on the pink glitter, and when it was dry, added a top coat of the decoupage. Super sparkly! While the sign was drying, I added in the flowers. 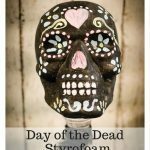 One of the awesome things about using a styrofoam wreath form is that you can pike things directly into it, which is what I did with the flowers. 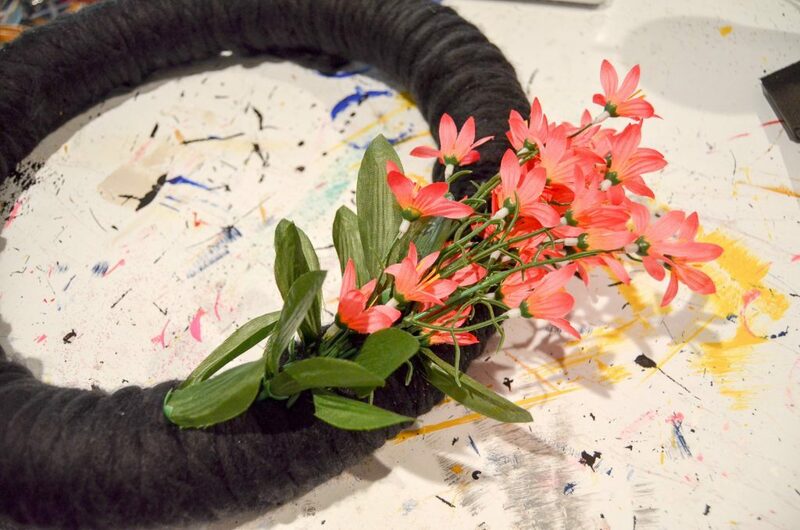 I then used a bit of skinnier black yarn to tie the stems down so that the flowers weren’t sticking all over the place. 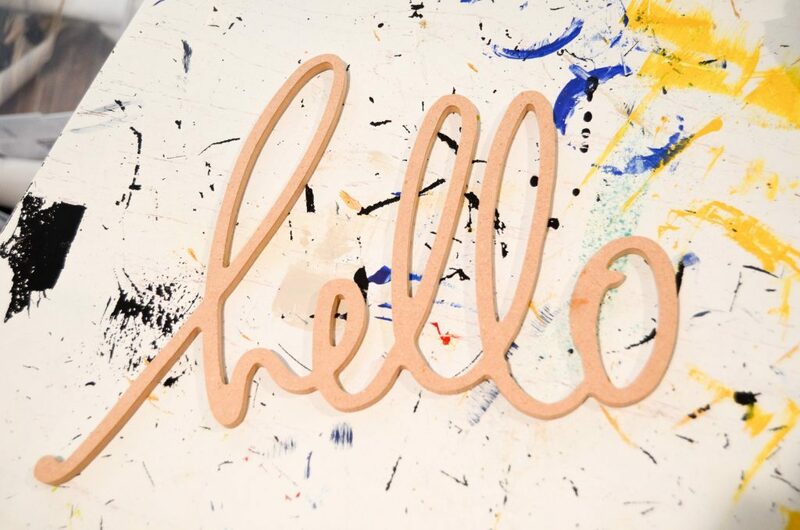 When the hello sign was dry, I glued it onto the metal ring. 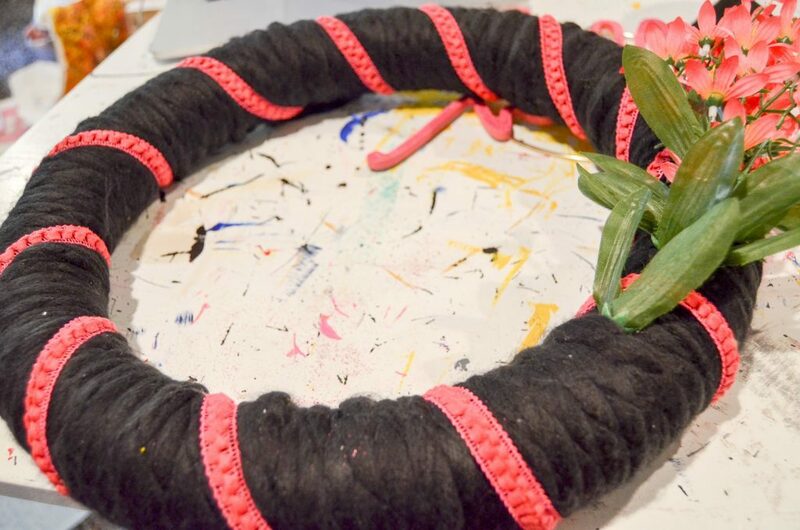 While the glue was drying, I wrapped the pink trim around the wreath. I couldn’t get the trim tucked in nicely like the yarn, so I used a straight pin to hold it in place. 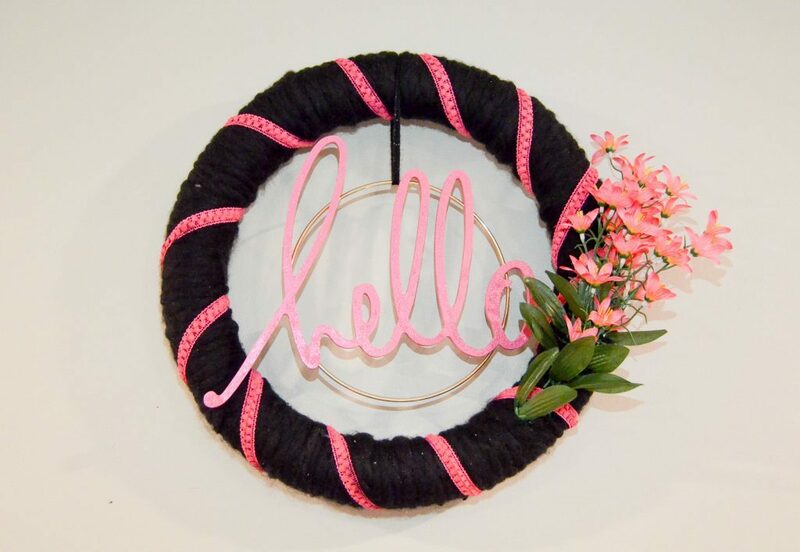 Another little bit of yarn to tie the metal hoop to the wreath and my Pink and Black Hello Wreath was finished! 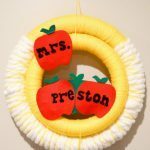 It was such a fun wreath to make and really was pretty simple. It was easy to work on one part while another was drying. 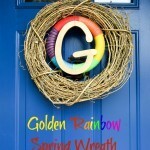 This is such a fun wreath to have hanging up! 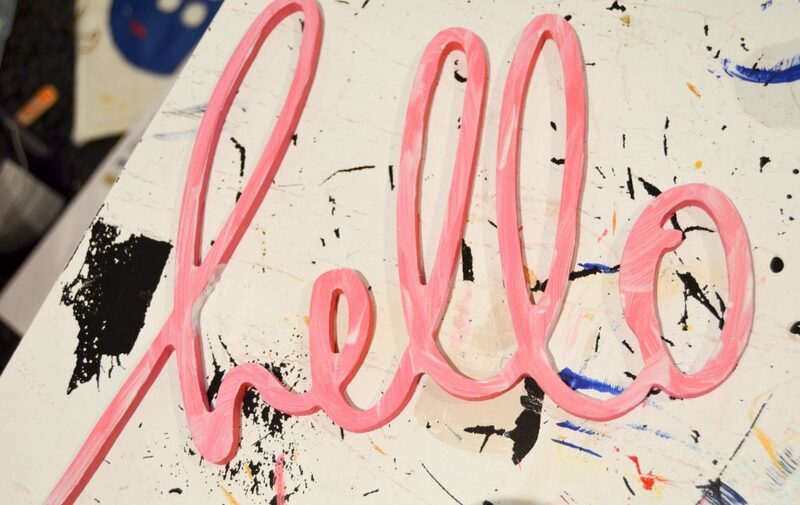 I don’t have a lot of pink decor in my house and it’s a fun way to bring some in. 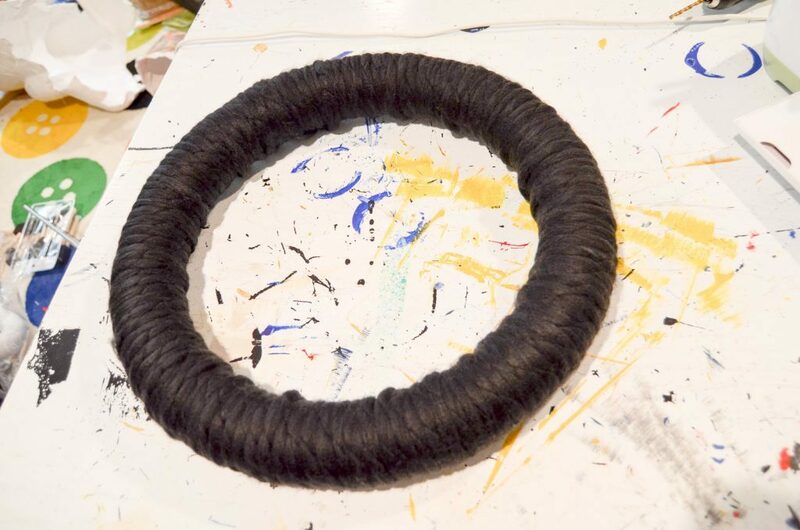 All in all, it took under an hour to make, too, so it’s a fairly quick project! 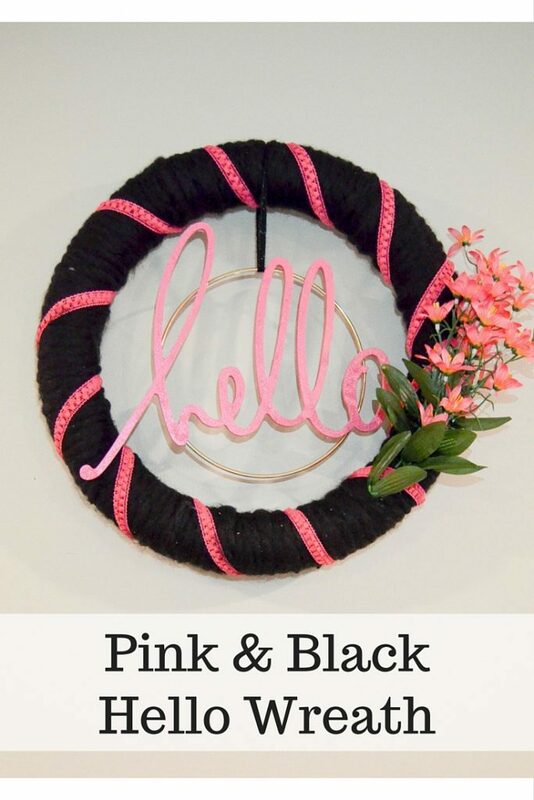 I think my Pink and Black Hello Wreath makes a cheerful greeting to our house.